Featured Product of the Day: Renaissance R Pins! Here at Tag UR It! inc., we provide custom cloisonné and lapel pins of all kinds! Our quality custom cloisonné pins are a subtle and sophisticated way to show some flair!! Cloisonné pins have a royal history and a legacy of beauty. Dating back to the 13th century, the cloisonné process was first used in ancient China to create vases and other art for the Emperor. During the famous Ming Dynasty, bronze casting was taken to a new level and the cloisonné process, which is still used to create cloisonné lapel pins today, was perfected. You, too, can have the feeling of royalty wearing a Tag UR It! Inc. custom designed pin! In addition to traditional cloisonné style pins, we can design lapel pins with custom logos or any other type of corporate pins in both magnetic and traditional styles. Any logo or design you wish can be sublimated onto ourcustom lapel pins! Another pin we feature here at Tag UR It! inc. is the Renaissance Hotel R Pin. 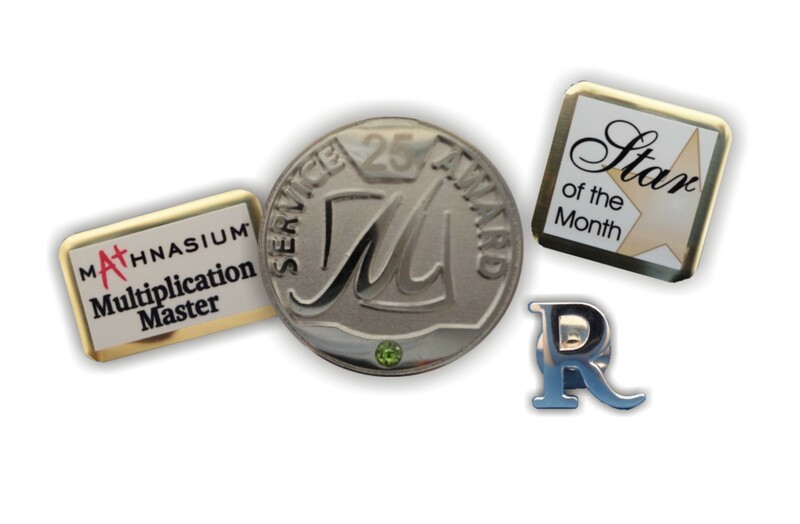 Available exclusively to Renaissance Hotels, our R Pins are available in 3 different options. The silver R shaped lapel pin is available with deluxe clutch or magnetic backing. It is also available with a simulated diamond stone and deluxe clutch attachment . Check out our website for this pin or contact us to create the perfect custom lapel pin to fit your needs!